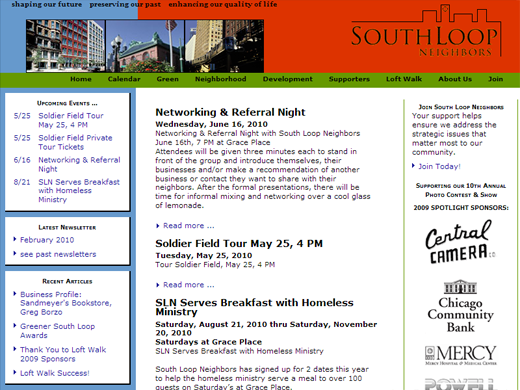 Sample some of our work by clicking the thumbnail on the right. Then give us a call if you are interested in any project we could assist you with. 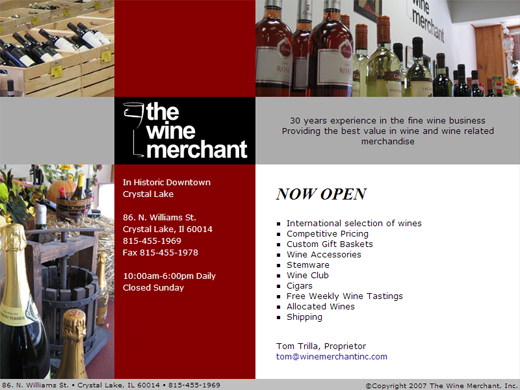 Broad and fully featured solutions to a buisness problem or a market opportunity. 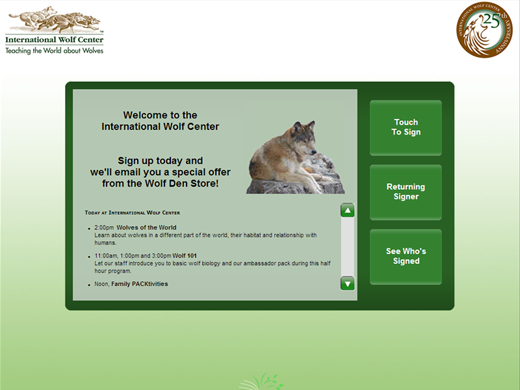 A content/contact management system supporting a community of users. 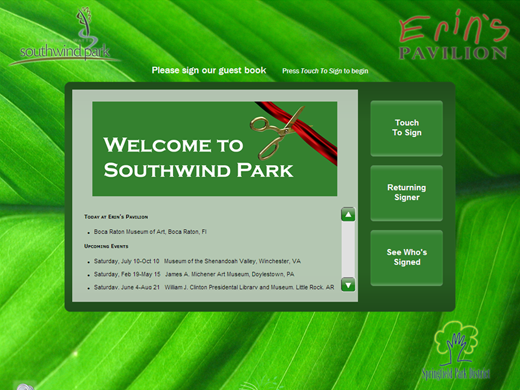 Traditional website providing a web presence for businesses, institutions or people. 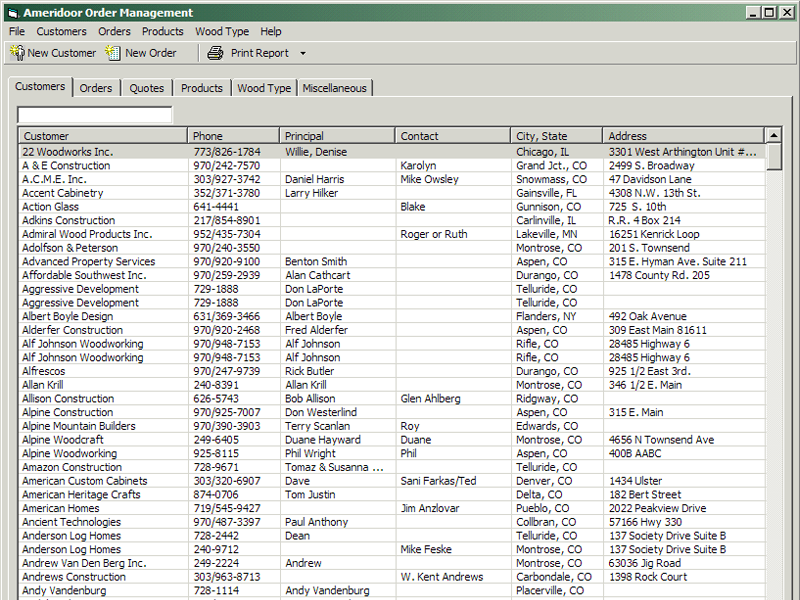 A desktop order management system for a Colorado based Manufacturer of custom cabinet doors and drawer faces. 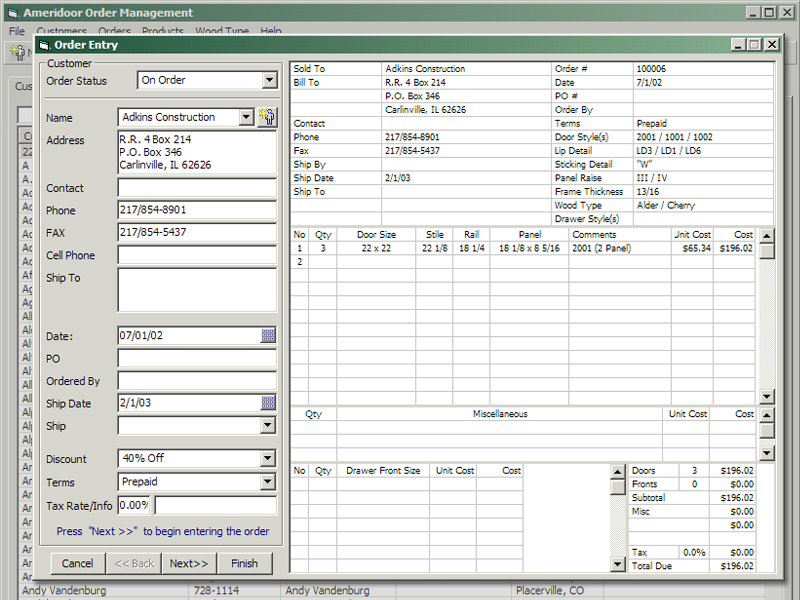 An extremely effective replacement for a manual order entry process providing a full pay back in less than a year. And the benefits keep on giving. 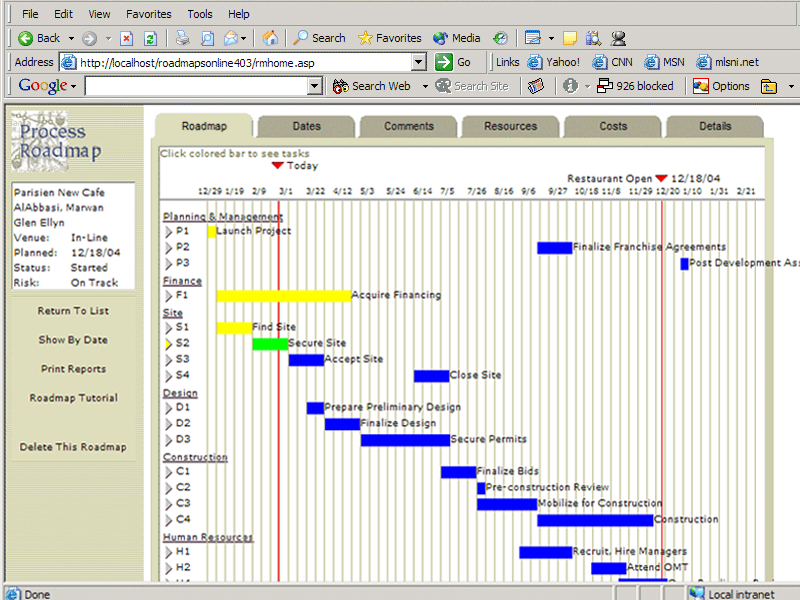 The Process Roadmap was developed as the cornerstone application in a franchise support intranet for the parent company of Popeyes Chicken and Biscuits and Churchs Fried Chicken. 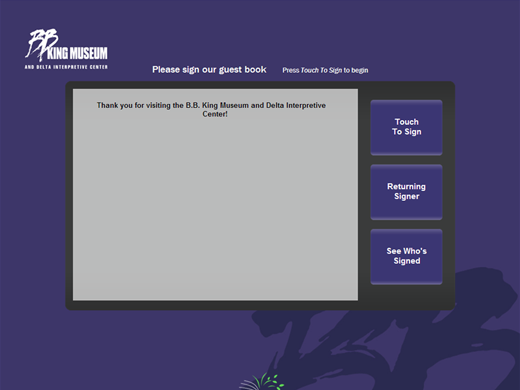 Green Guesstbook is an internet-based, touchscreen guest registration system serving museums and other public venues. AWARD 2009 Most Promising Material of the Future by the American Association of Museums. 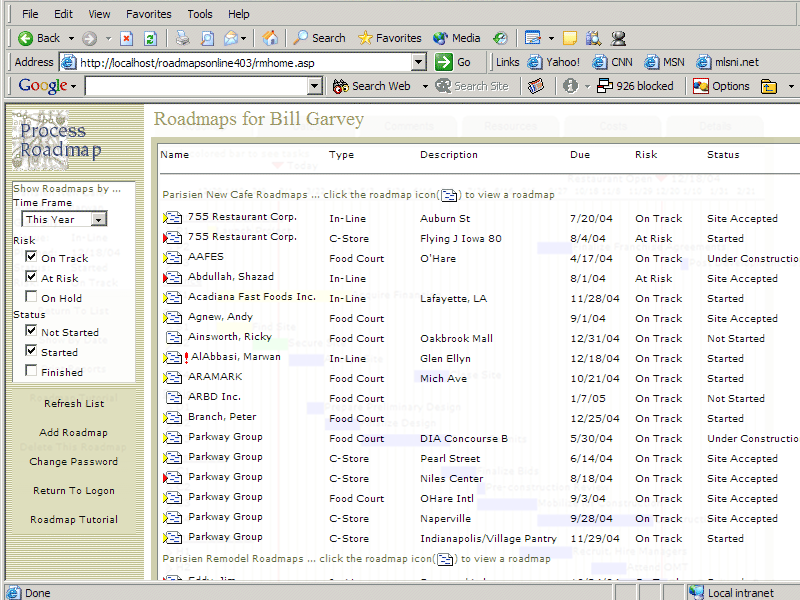 A major component of the system is the Administrative site. 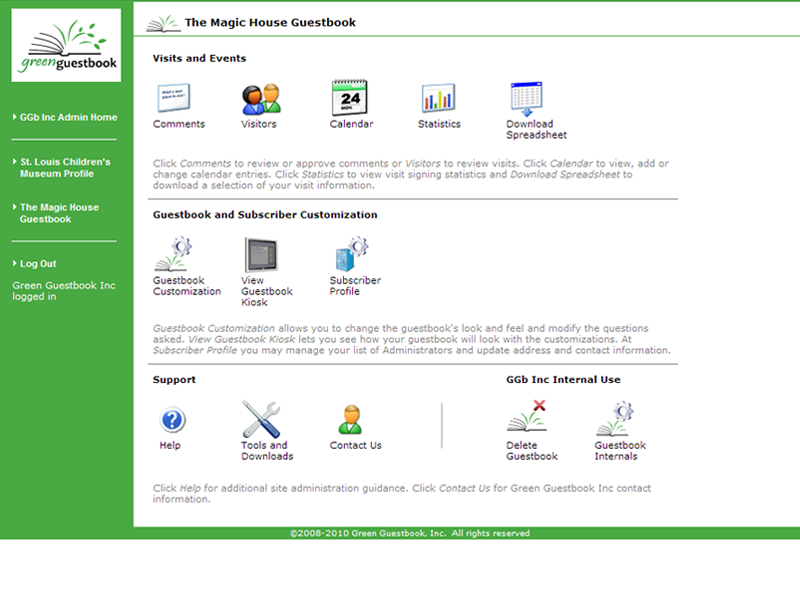 This provides access to all entered information and allows extensive customization of the guestbook. 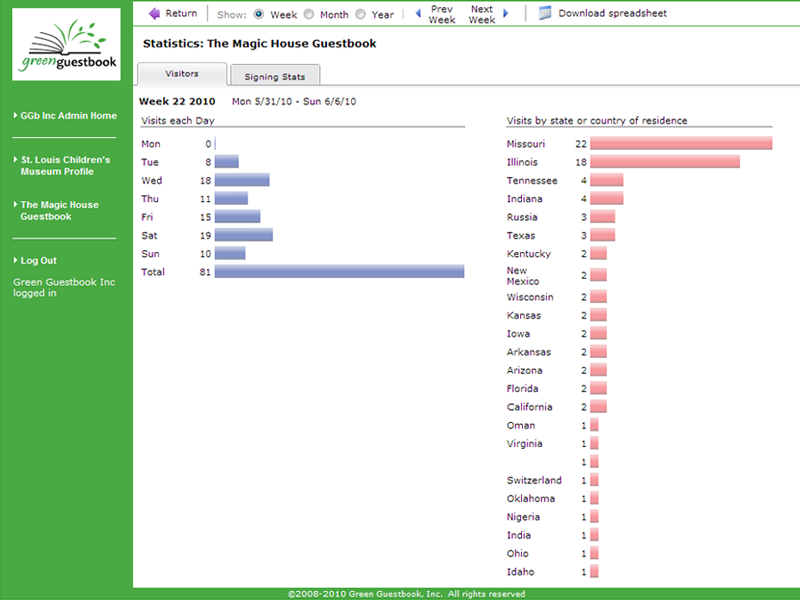 An example of a guestbook in use. This commmunity hub for a Chicago community organization was built on the foundation set by the award winning Trout Unlimited community hub. It incorporated a more granular content authorization scheme and automated content expiration. 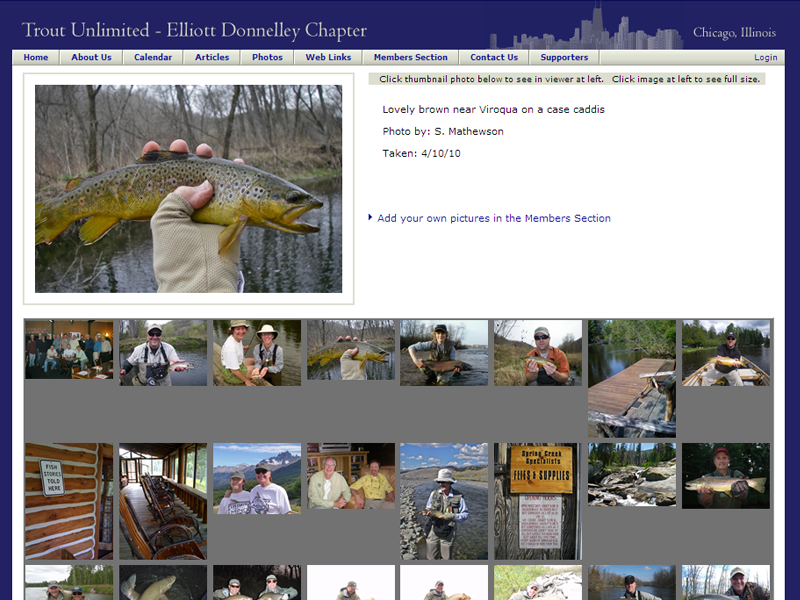 Community hub providing content and contact management for the Chicago chapter of Trout Unlimited. 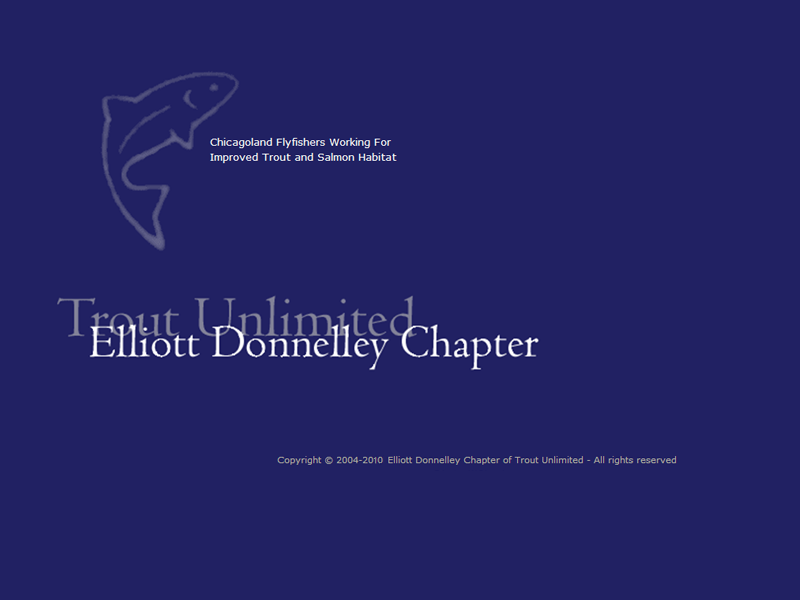 AWARD 2006 Best Chapter Website, by Trout Unlimited. This was the first time awarded. 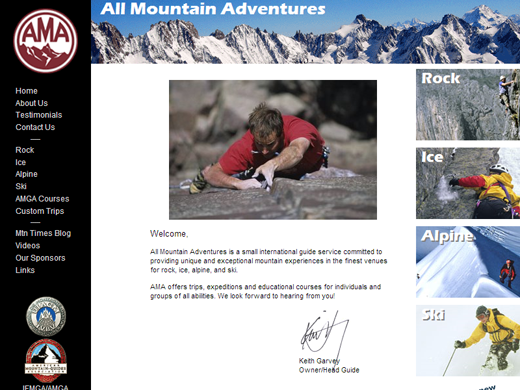 An international guide service providing unique and exceptional mountain experiences in the finest venues for rock climbing, ice climbing, alpine adventures, and skiing. 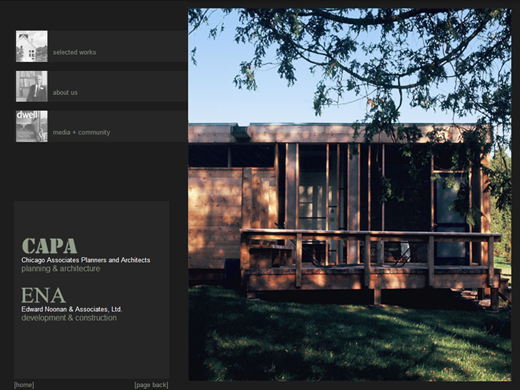 The developer's website site for an environmental community embracing land conservation, contempory architecture and green building techniques. 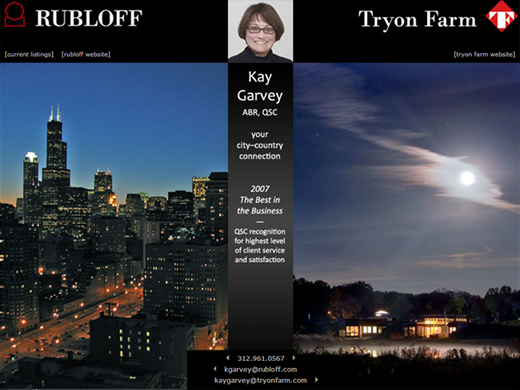 A public landing page for a realtor serving two markets. Under the covers is a private contact management system for managing client contacts. 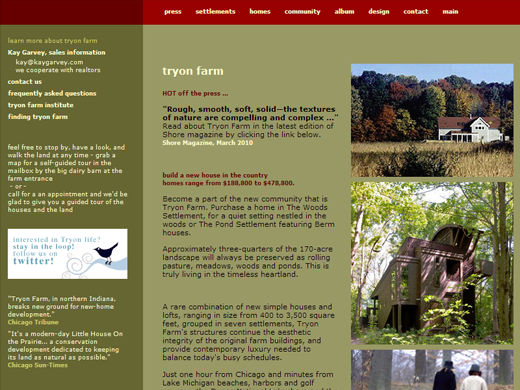 Chicago architecture and planning firm website. 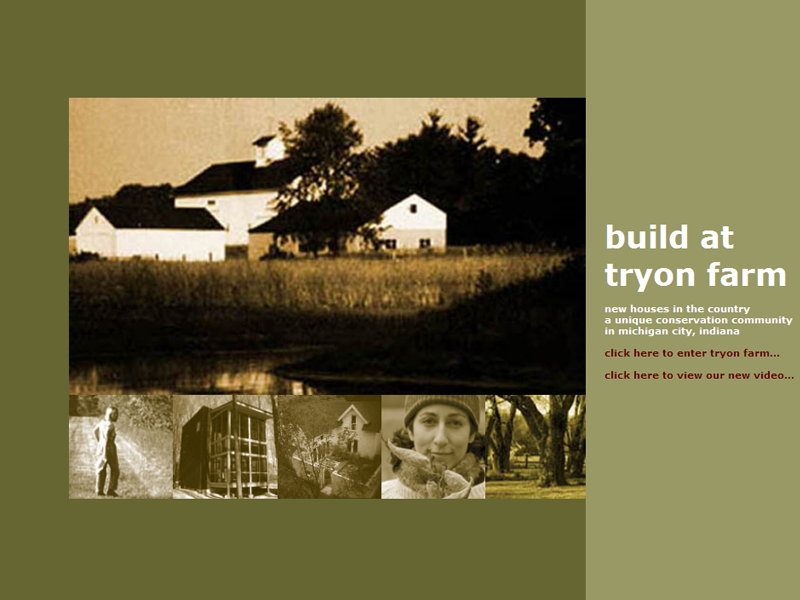 Projects throughout the midwest and the nation with a focus on contemorary design, conservation and reuse.